An already-damaged Massachusetts coast had to brace for another major storm Wednesday. 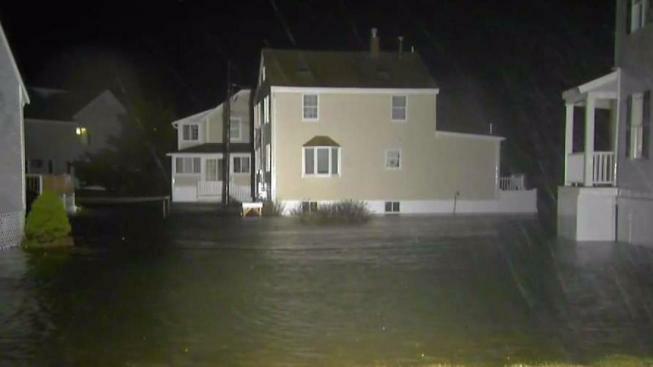 Coastal communities in Massachusetts received a double whammy as a second nor'easter hammered the region Wednesday into Thursday. Last week's nor'easter caused millions of dollars worth of damage to the South Shore, much of which occurred because the seawall in Duxbury gave way in some spots. The second storm is only expected to bring an inch or two of rain and possibly an inch or two of snow to that region, but 60 mph wind gusts could harm an already fragile area. The storm is bringing heavy snow elsewhere, with power outages being reported across New England. "Minor to moderate coastal flooding" was expected as well, according to Gov. Charlie Baker. In Duxbury, officials were racing to replace 200 feet of a seawall that came crashing down last week. Much of the wall has since eroded into the ocean. Crews have been working to prevent any further erosion from happening. Duxbury Public Works Director Peter Buttkus said the temporary repairs are the best they can do before the storm rolls in. "You've got a catastrophic failure in a lot of sections that will have to be totally replaced. The cost for that is obviously in the millions so we will be looking for federal and state aid," Buttkus said. There is no timetable for how long it will take for the seawall to be replaced. 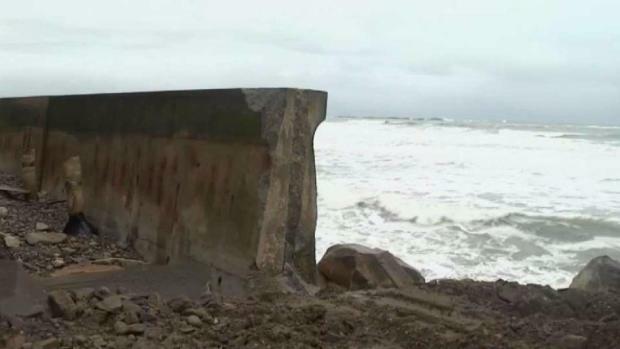 In Scituate, residents are also dealing with a broken seawall along Surfside Road, which broke during the weekend’s nor’easter and flooded the street, causing serious property damage. Construction crews were still working on patching up the wall before the storm Wednesday morning. "I don’t think it can be much worse than it already was," Sciutate resident Tyler Grazio said. In some parts of town, the cleanup will take longer than a few days. Louise Pfund Villani lives year-round in her home and estimates there are about 4 to 5 feet of sand and stone burying her street. "I have to dash in and get out before I get stuck," she said. Boston and coastal communities are expected to get mostly rain. Baker noted that tides are not as astronomically high as at the height of last week's storm, but could still bring additional flooding woes.